Most industrial accidents and tractor trailer motor vehicle accidents take place between 2 a.m. and 6 a.m.; most strokes and heart attacks take place during those same hours as well. But what do these facts mean? Primarily, these facts indicate that the human body was not meant to be awake during these hours. Humans are not nocturnal and attempts to reverse this should be considered temporary at best. But that still doesn’t explain why the body is at risk during those hours. In general, the risk of stroke and heart attack is increased by two well-known sleep disorders: sleep apnea and restless legs syndrome (RLS). Sleep apnea, otherwise known just as apnea, occurs during sleep when the throat collapses at least five times per hour for 10 or more seconds. 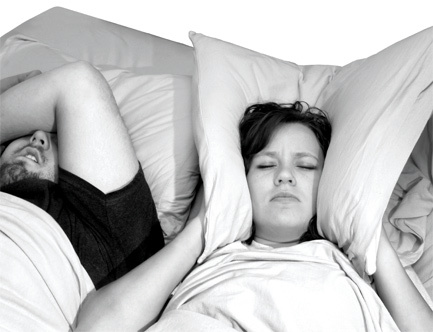 When sharing a bed with someone with sleep apnea, partners may become aware of the sleeper’s breathing changes when the apnea is followed by a loud-enough snore. Not all snoring is due to apnea, though, just like not all apnea is due to obesity. While the rate of apnea in men is at an estimated four percent, it jumps to over 50 percent when the patient has a history of heart disease. Most people think of apnea in middle-aged, obese, snoring men; however, the structure of a person’s throat can predispose even young, thin women—as well as children— to having apnea. For example, the throat can become blocked if the naturally occurring uvula collapses too low during sleep. In children, apnea can take place because of enlarged tonsils. Many other causes for apnea exist, ranging from thyroid disease to Down Syndrome, to having had a stroke, and even to some prescription medications. Since there is a common outcome for the causes of apnea (the collapse of the throat during sleep), treatments are geared towards keeping the throat open. Air pressure is delivered by a reverse vacuum-cleaner called a CPAP machine. The CPAP machine and mask combination is designed to press air through the nose and/or mouth, moving the tissue out of the way and allowing the normal movement of air into and out of the throat. Discovery of apnea is not yet a perfect science. Although facts in a person’s history can be suggestive of apnea, the best way to determine if a person has apnea is to perform a sleep study. The most important ways to help provide accurate results is to avoid all caffeine on the day of the sleep study, to take all of your usual medications the usual way on the day of the test, and to bathe. The sleep test itself can be summarized as placing wires on the head to monitor brain wave activity similar to an epilepsy test; wires on the face and chest to measure airflow and effort to breathe, and electrodes on the leg muscles to discover if significant leg kicking is occurring. Wires and electrodes are connected to a computer with a specially-trained technician watching as the test proceeds. After sleep, wires are removed and the patient returns to home or work. Test results are tallied and the sleep physician interprets the results. The most important part of the test is making sure that the patient is treated for all disorders discovered. If apnea is treated, for example, but RLS is ignored in the treatment of the patient, then a likely outcome is that CPAP use won’t lead to the expected benefit. Why? Because despite wearing the CPAP mask, the RLS which remains may lead the difficulty with getting to, or remaining, asleep. Apnea has multiple other treatments just as sleep disorders have many other types of illnesses. Removing each one of the populations’ sleep-related disorders simultaneously reduces problems like heart strain, memory collapse, and even limb pain (associated with RLS). The entire process of treating concurrent sleep disorders leads to immediate symptom improvement and long-term health enhancement. Not to mention the healing of the world through reduced road dangers, greater health of the populace, and enhanced alertness in industry. Jeffrey Gould, MD, is Medical Director of the Sleep Disorders Center at Westfield Hospital, Allentown. He is board-certified in neurology and sleep medicine and is a Diplomate of the American Academy of Sleep Medicine, and has more than 10 years’ experience treating patients with sleep problems. “Health Watch” offers the latest information on keeping you and your family healthy.